Howlin' Wolf Records: SIX STRINGS: SILVA SCREEN RECORDS AND FILM FEST GENT PRESENT "TERENCE BLANCHARD - MUSIC FOR FILM"
SILVA SCREEN RECORDS AND FILM FEST GENT PRESENT "TERENCE BLANCHARD - MUSIC FOR FILM"
The first ever overview of Terence Blanchard's film music work approved by the artist. Performed by the Brussels Philharmonic and conducted by Dirk Brosse. 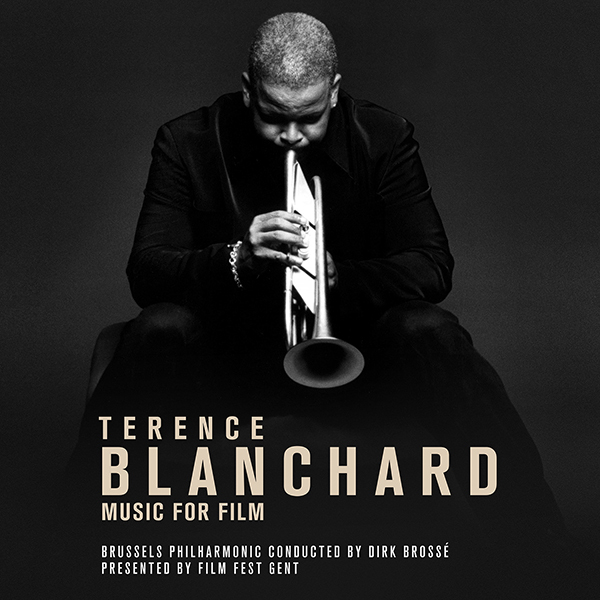 Supported by the Film Fest Gent’s World Soundtrack Awards, Terence Blanchard Music For Film is the fourth release from the series and third on Silva Screen Records. Each year an outstanding film music composer is invited to present their work during the annual World Soundtrack Awards Gala & Concert. As part of the celebrations, Film Fest Gent and partner Brussels Philharmonic record a CD of their music in advance of the concert and this year’s guest of honour is Terence Blanchard. The concert will be held on 18th October. World-renowned trumpeter, brass player, composer, band leader and five time Grammy Award winner, Terence Blanchard is the most prolific jazz musician to ever compose for motion pictures. As a film composer Terence Blanchard is most known and admired for his unique collaboration with director Spike Lee that started in 1991 and includes Mo Better Blues, Malcolm X, Clockers, 25th Hour, Jungle Fever, Inside Man. "Writing films scores can be very rewarding and inspiring because of the many creative possibilities presented on any project. Being recognized, in itself, is the prize most of us yearn for, never looking beyond that because we are the background and one part of many that come together to tell a story. So for my work to be singled out in such a huge fashion is truly a magnificent honour. I'm humbled and excited all at once to be a part of this celebration and would like to thank all who made this happen."